There is no doubt that one of the most exciting projects during the Trainee Program is the project abroad. With this assignment, you have the possibility to experience different working cultures within the company as well as a new lifestyle by staying in a foreign country for 3 months. 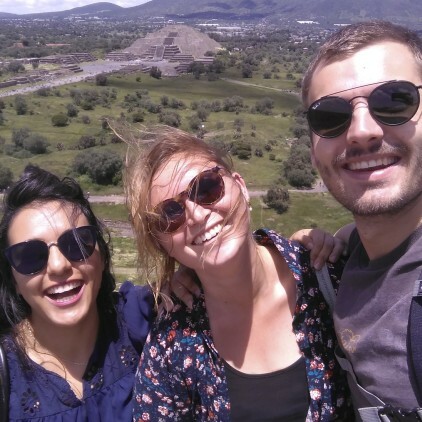 For this article, I took the chance to interview Katharina Apel regarding her project abroad experience, since we were together in Guadalajara, Mexico for one rotation. Hello Kadda, thanks for taking the time for this interview. For the readers, could you please introduce yourself with only three words and explain to us why you chose them? Technical, wine and nature. Technical, because that is my background. I studied electronics in my bachelor and mechatronics in my masters, I have done several technical projects and I am working in a technical company now. Wine, because that is how I relate to where I come from, a small village close to Trier in the west part of Germany, where a lot of wine is produced and this is what my father does. Finally, nature because this topic is very important in my life, and now important in ZF Gualadajara, since you [Marielena] and I are preparing a workshop to reduce the paper consumption in our work environment. 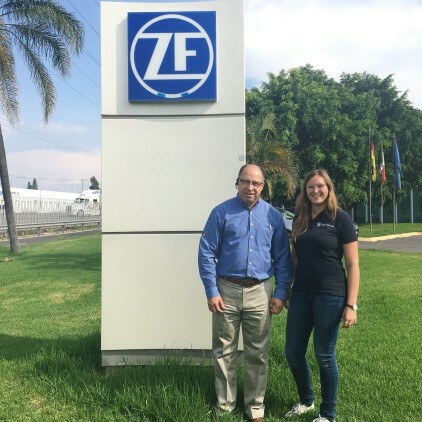 So far, during the ZF Global Trainee Program, you worked for ZF in two locations in Germany and one in Mexico. How has this whole time been for you? Since I worked for ZF during my bachelors, I already knew what it meant to shift between different departments, but only in technical areas. So now I use the trainee program to get not only the insights of new topics on the technical side but also on the project management side. I would say this is the focus of my trainee time here. I just try a lot of different topics to get to know myself better. Talking about the project abroad, ZF offers a wide range of options. Which locations were your preferred ones and how did you make the decision of coming to Mexico? First, I decided that I want to improve my Spanish level, so that narrowed it down to Argentina, Mexico or Spain. 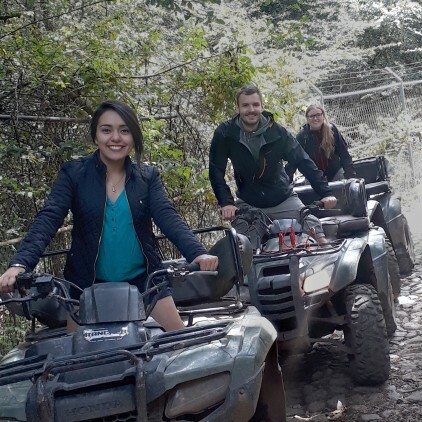 Since I have already done an Erasmus semester in Spain and I volunteered in South America a few years ago, I was looking for something different. In addition, the connection to Mexico was somehow obvious because we have Mexican trainees in our batch and we do not have trainees from Spain or Argentina. That was how I ended up in Mexico. 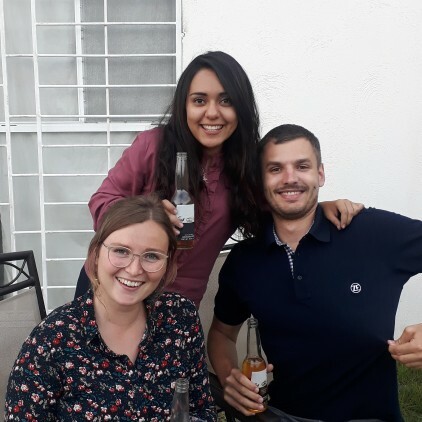 Since in the trainee program it is very easy to connect with people and the Mexican Trainees already knew the place, it was easy for me to connect to the department here. So then you came to Mexico, how would you describe the overall experience here? I’m not only talking about your project, but also culture-wise, traveling, food, everything? In general, there are many contrasts for me. For example, I feel the work environment is not as strict as in Germany, but on the other hand, you spend much more time at the office and on the way to get there and returning. In Germany, especially at ZF, plants are in very small cities. So normally, it takes only a ten minute bike ride to get to work, but here it takes from one up to two hours. Besides work, it was very interesting to see similarities with Ecuador and Spain. For example, you can see the strong influence Spaniards had on Mexican food. That was very interesting, nevertheless there are a lot of things you only find in Mexico and it is always nice to experience or get to know those things. Culture-wise, I would say people here are very open-minded. Already on the first day a lot of colleagues came and offered help and support. I never felt lost or left alone here. So in your opinion, you consider the main differences between working in a German office and a Mexican one are the work strictness, commuting times and people’s attitudes? Mexicans are at least more open. For example, here it is not a big deal to do something with your colleagues after work. In Germany, it also happens of course, but it takes more time at the beginning and is not done as much as it is here. It is interesting that even though you have those different cultures, the same ZF principles regarding improvement and procedures are used here, so you realize that it is still the same company even if it looks very differently. "Same ZF principles regarding improvement and procedures are used here, so you realize that it is still the same company even if it looks very differently." Can you share one of the best experiences (professional or private life) that you had during this time? That is hard to choose. To prepare for the trip abroad there are various ZF rules you need to cover in order to be secure. Many rules are very strict in specifying how to follow them so nothing happens to you. Therefore, I entered Mexico thinking “okay, here it is dangerous”, and probably it is but that is not the whole story, it is just part of it. I have not had any bad experiences luckily, I go around alone because I think it is okay, and traveling now alone is not a problem. Furthermore, I thought about Mexico City “it’s a huge city and to be honest ugly” but I went there and changed my mind, I liked it very much. There are a lot of streets with trees - for me it is a very green city. Maybe we were in the right areas but still it was surprising. It felt like Berlin in Mexico. It sounds like you had a nice experience here, what would you say is the main challenge? Speaking Spanish [Kadda laughs]. My level is not advanced. Since the first day, I told my colleagues to please speak only Spanish to me because I need to improve, and if you start speaking in English, you will never switch to Spanish again. However, sometimes in the lunch break it is hard for me because I want to relax, and then I have to concentrate a lot to understand everything. Another challenge was getting into the work culture. Here sometimes you have to ask twice if something is done or not, and also get to know your team and how the work speed is here. I try to adapt and not be the typical German who does everything differently, because I wanted to learn and get to know by myself what it is like to work here. What is the main lesson you have learned during your time here? What would be your golden rule? What would you recommend to new trainees who are about to choose a project abroad? Do not go to typical places. In my case, I do not know if I would have come here even just for holidays - probably never, I would say. This was the opportunity to get to know one place that I would probably never have visited without the project. Now, I got to know the country so I am definitely coming back to travel. Nevertheless, countries like the USA or even in Europe, you probably go there anyway. I know it is different to live and work there rather than just traveling, but I would choose something more different. 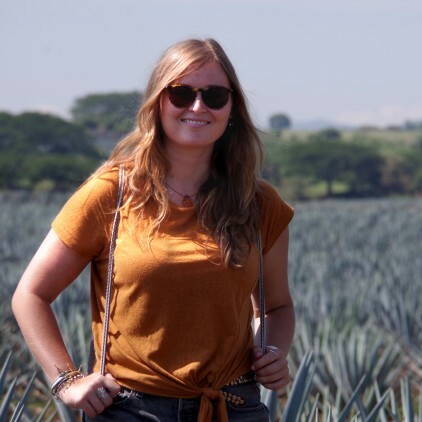 "This was the opportunity to get to know one place that I would probably never have visited without the project." If you could go back to the start of the trainee program what would you change? I would not go to the same department for my first project, because I knew the place already (I did my bachelor thesis there). Now, I understand the point of how important or at least how useful it was for me to get to know new places, so if I would do it again I would take the chance to go to another department or even place. Beside this, I wouldn’t change anything.